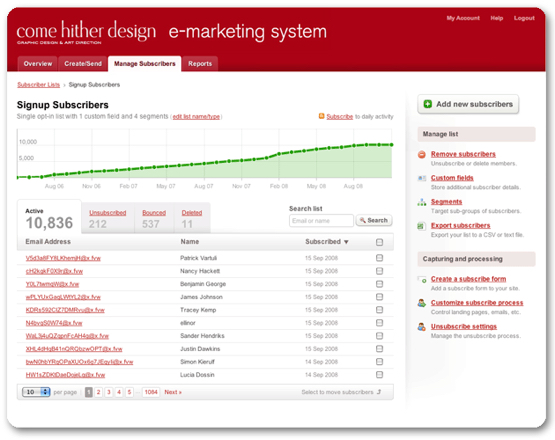 We are proud to announce the launch of Come Hither Design’s e-marketing system. A secure mass e-mailing system that manages everything for you. We can design html e-mail and newsletter templates for you to edit and send out by yourself, or we can send them for you. If you really want to you can even design your own, but we’re always happy to create something new for you. You can upload your own database of e-mail addresses or we can manage it for you. 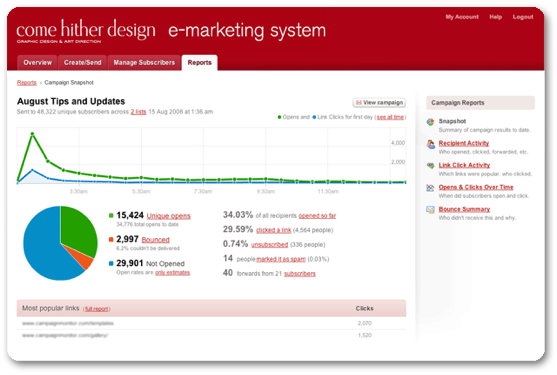 Bounced e-mails and unsubscribes are handled automatically. Whether you've got a small list, or a huge database, our system is simple and easy to use. We can also add a ‘subscribe link’ to your web site to automatically update your database. Should you want it (or even understand it!) 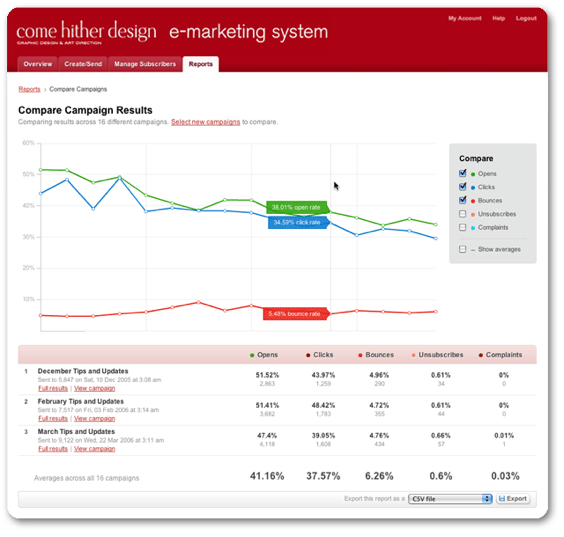 further analysis of your campaigns is available: you can compare your campaign results and conversions with Google Analytics integration. Ask us to for a username and password and we’ll set up an account for you with everything you need. Have a look at the html marketing section of our portfolio to see a selection of some of previous designs.